Another California City to Ban Smoking in Condominiums – What is Your Association Waiting For? I was alerted to a proposed smoking ban in apartments and condominiums by the City Council in Culver City, California. Follow this link to read an article from the Culver City Observer that tells us that the City Council directed the City Staff to prepare a draft proposed ordinance that would ban smoking in any complex of 2 or more units. We have reported previously about cities banning smoking in multiunit housing – see our prior posts here and here. 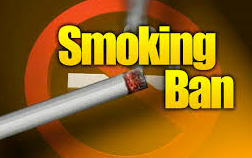 If a city can ban smoking, so can a condominium or homeowners association. In fact, some of our clients are moving forward with smoking prohibitions in their CC&Rs and have been able to successfully enforce the prohibitions without having to file any lawsuits. There is no doubt that enforcement will continue to be a challenge. But as more and more people stop smoking, and as more and more people become intolerant of having to smell or inhale secondhand smoke, it seems reasonable that community associations should be able to prohibit smoking. If you would like more information about the process of amending your association’s governing documents to prohibit smoking, contact our office.